Journalists and news outlets are legally responsible for what they publish. Mistakes have a financial cost, as well as a reputational risk. The arrest and probable future extradition of Julian Assange to the United States to face charges of computer hacking conspiracy has once again put the issue of WikiLeaks and personal, and corporate, privacy at the centre of the global debate. Whatever one may think about Assange as a person, he represents a new era in which billions of interconnected devices have essentially put the whole world under surveillance. While one may question the leaks and his personal motives, the actions of certain actors that he has denounced, from the United States’ National Security Agency (NSA) to Google are substantially more damaging to our personal freedoms than anything WikiLeaks will every publish. At the same time, Assange’s empathy with the Kremlin, his supposed personally authoritative ways and narcissistic attitudes are nothing more than the colourful traits of a divisive character that has opened the world’s eyes to the atrocities being committed by certain nation states and private corporations. We have witnessed a transformation in personal communication which has led to an extreme deterioration in personal privacy in just the last decade. Yet, this process is part of a broader trend that began with digitalisation and global interconnectedness that can be traced to the beginning of the Internet. In parallel, we have observed the extreme concentration of economic and military power that has occurred over the past few decades, which has also been a consequence of the free flow of capital, the end of the Cold War and the hegemony of US capitalism. 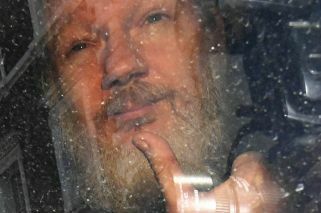 The rise and fall of Assange is an integral part of this historical process. As my former Forbes colleague Andy Greenberg wrote in This Machine Kills Secrets, Assange was part of a group of hackers and digital activists that called themselves cypherpunks. One of the group’s founders, Eric Hughes, wrote in his manifesto: “Privacy is necessary for an open society in the electronic age. Privacy is not secrecy. A private matter is something one doesn’t want the whole world to know, but a secret matter is something one doesn’t want anybody to know. Privacy is the power to selectively reveal oneself to the world.” Cypherpunks used cryptography and other mechanisms to in order to protect digital privacy, creating things like the blockchain (on which Bitcoin runs) and WikiLeaks. The mythical Satoshi Nakamoto was part of the famed cypherpunk mailing list, along with Assange. From these pages in the Times, I have denounced the progressive concentration of power in the hands of a group of giant Silicon Valley corporations including Google and Facebook, as well as the end of privacy. As the Internet became more widespread, and as the proliferation of smartphones truly created global interconnectedness, these companies have been farming personal data to create databases that allow them to become increasingly efficient at tracking and even anticipating our behaviour. With it, they have created products that manipulate our attention and therefore exponentially increase their capacity to target us with advertising, thus becoming the most valuable corporations in the world. Google and Facebook routinely allowed their platforms to be abused for electoral manipulation and the spread of fake news, and are only now beginning to do something about it given the public relations disaster that erupted in the wake of the Cambridge Analytica scandal. Assange saw this before the rest of us, and built WikiLeaks in order to conceal the identity of whistleblowers willing to risk their lives to expose things like the murder of civilians in the Iraq and Afghanistan wars, and the ravaging of the Kaupthing bank that left all of Iceland in debt. In part, he has put emphasis on powerful state actors, especially major agencies in the United States. It hasn’t always worked, as whistleblower Chelsea Manning can attest to. 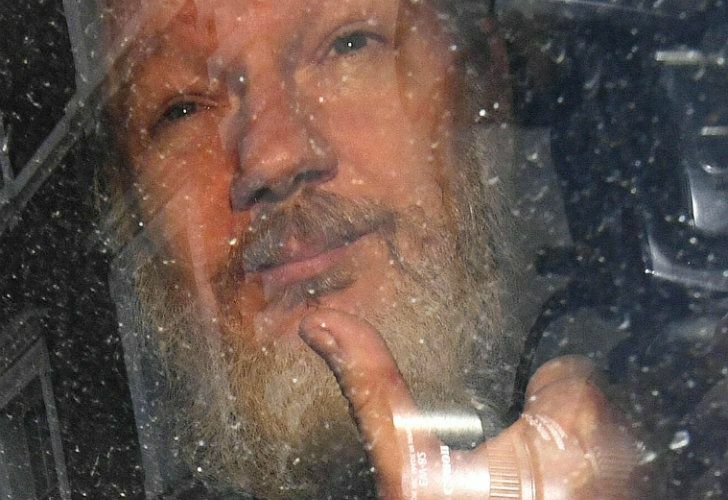 Assange’s methods have been clearly controversial, with several top journalistic outlets including The New York Times and The Guardian looking to distance themselves from him. WikiLeaks receives troves of data, which they process and then index so that they can be searched with a powerful search engine. Assange considers himself an editor, selecting the data, the timing, and the outlets through which the leaks are revealed. The data is raw, as part of the philosophy is to make things public so that anyone interested can access those documents. Power in numbers. While a journalist’s job is to gain access to information that is relevant, analyze it and generate a meaningful report that the audience can comprehend, the role has many similarities with WikiLeaks’ approach. Beyond the legal argument, with which United States prosecutors are looking to avoid freedom of the press and First Amendment challenges, investigative journalists must cultivate relationships with sources, helping them deliver information while protecting their identities. Conceptually this isn’t different from what WikiLeaks does. At the same time, journalists and news outlets are legally responsible for what they publish. Mistakes have a financial cost, as well as a reputational risk. For anyone looking to have a feel for who Assange is as a person, I suggest reading the interview he gave Jorge Fontevecchia in Perfil back in 2014, titled “Yo defiendo al populismo,” and the one he gave Greenberg in Forbes in 2010, “An Interview with WikiLeaks’ Julian Assange.” My interpretation is that he is passionate about being a contrarian, looking to clash with whoever is in charge, mainly the United States. He appears full of himself, yes, but he is also determined and self-assured to the point where he likes antagonising with the world’s most powerful actors. This can also backfire, as in the accused sexual harassment of two Swedish women in 2010 for which he could be extradited. While encryption and other privacy-enhancing technologies hold the promise to return to each of us a portion of control over our digital privacy, this won’t really change until people truly care about it. Regulators in the European Union have begun to push for greater control over personal data, passing the General Data Protection Regulation (GDPR), while putting pressure on digital monopolies through anti-trust investigations into Google and Facebook’s behaviour. The Cambridge Analytica scandal opened the eyes of many as it showed how our digital identities can be used and abused, particularly by targeting our fears and insecurities. We must respect Assange in being at the vanguard of these movements, even with his many flaws.